PRICED BELOW MARKET VALUE! MOTIVATED SELLER! BRING YOUR OFFERS TODAY! Waterfront outdoor living at its finest! 3 ACRE LAKE FRONT "hidden retreat" on beautiful freshwater ski-lake Jessamine with amazing sunsets can be yours! This is a very secluded homesite with mature oak trees and 165' of lakefront view. 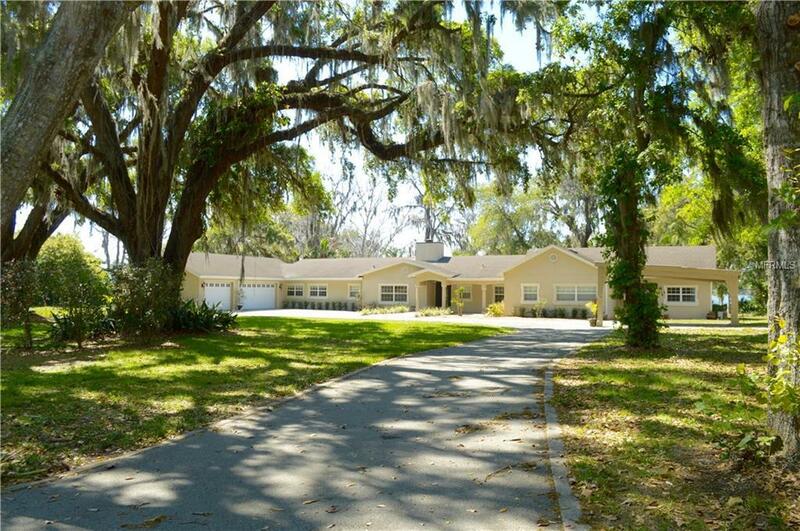 Completely private yet located close to Downtown Orlando and Int'l Airport. It's a spacious 3 bedroom and 2 baths home with another separate 3 bedroom and 1 full bath In-Law Suite with its own kitchen, separate entrance and access door leading to the pool area. The main area of the house offers an open floor plan, with lots of natural light and panoramic views of the lake from nearly every room of the house. The formal living and dining areas with beautiful travertine flooring and fireplace are perfect for family gatherings. The bonus family room is located in a separate part of the house and has it's own access to the outside gazebo area overlooking the lake. The property features huge circular driveway, 3 car garage on one side of the house and 3 car carport on the other side. The home is perfect for family living and entertaining. The outdoor areas are ideal for fun and play. You can either relax by the screened in pool area facing gorgeous mature landscaping, or walk to the deck and sandy beach to enjoy a fascinating lake view and mesmerizing evening sunsets. This home offers limitless renovation opportunities and so much space for inspiration!